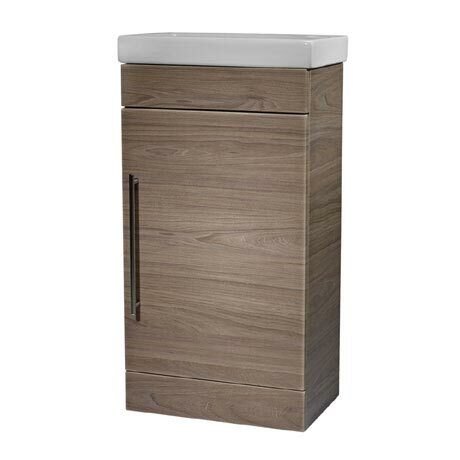 The compact and practical Esta 450mm Cloakroom Unit is a freestanding piece that is perfect for cloakrooms or en-suites. The unit comes finished in Dark Elm and incorporates an internal wooden shelf and a door that can be hung for left or right hand opening. The slim chrome finished handle that adds an elegant touch can also be mounted in portrait or landscape. Roper Rhodes offer a 10 year guarantee on all furniture. Please note: Quoted dimensions include the cloakroom basin (sold separately).